Apple's third-generation Apple Watch is expected to be unveiled in the third quarter of 2017 and will focus on improving battery life and overall performance, according to a new report out of China. On Tuesday, the Chinese-language Economic Daily News (EDN) claimed the next iteration of the wearable device will be manufactured by Taiwan-based Quanta, which was also responsible for the production of Apple's first and second-generation smartwatch. Citing market watchers with knowledge of Quanta's plans, the paper said improving battery life is the manufacturer's "main task", but beside general performance improvements, the device's other hardware would not see much change. Quanta declined to comment on the report, calling it "market speculation". The claims represent the first tentative indication of Apple's launch timeline for its third-generation Apple Watch, pointing to a possible fall unveiling of the new wearable alongside this year's iPhone 8. The report also narrows down Apple's rumored ambitions for the third-generation device, with previous reports suggesting it could introduce the first significant design changes for the timepiece, such as more advanced sensors that Apple was not able to include in the first and second-generation models. 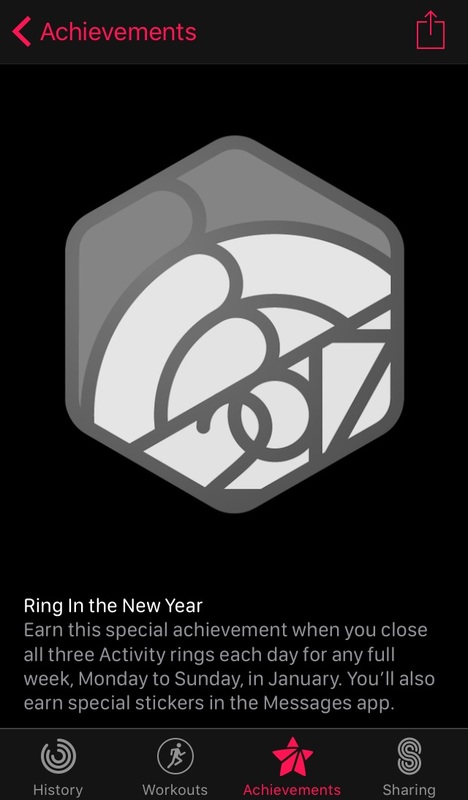 The challenge should become visible for all Apple Watch wearers within the Activity app at midnight local time on December 28. Similar to the Thanksgiving Achievement, if users complete the new challenge they'll gain access to "special stickers" in iMessages. A new section on Apple's website markets the Apple Watch as choice for corporate "wellness" programs, taking aim at a segment largely dominated by Fitbit. The minisite touts existing partnerships with companies like Aetna, IBM, and Lockton, as well as the Watch having "wellness solutions your employees already know and love," like Lose It!, Virgin Pulse, and Vitality. It positions the Watch as a "holistic" option, able to help not just with activity tracking but areas like nutrition, breathing, and mindfulness. The company is also selling the Watch on its ability to keep people locked into the working world, thanks to built-in apps like Calendar and Messages, and third-party options like HoursTracker. 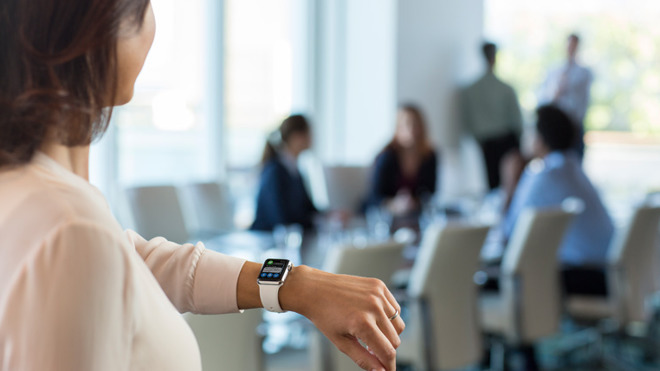 The site lastly guides businesses through how to integrate the Watch, for example noting that while businesses under 100 workers can arrange a deal through an Apple store, organizations over that limit have to email the company's Corporate Wellness unit directly. 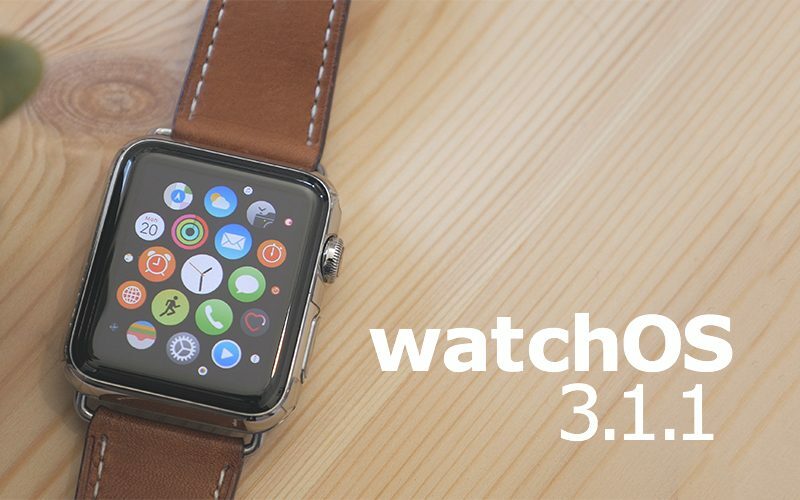 Apple today released a new software update for the Apple Watch, upgrading watchOS 3.1 to watchOS 3.1.1. The watchOS 3.1.1 update comes more than two months after thewatchOS 3 was provided to the public in September and marks the second update to the operating system. watchOS 3.1.1 has been in testing since October 31.
watchOS 3.1.1 can be downloaded through the dedicated Apple Watch app on the iPhone by going to General -> Software Update. To install the update, the Apple Watch must have 50 percent battery, it must be placed on the charger, and it must be in range of the iPhone. An iPhone running iOS 10 or later is required to download the new software, but it is available for all Apple Watch models.